About the Founder - Paul Stamets believes in the power of Mycelium, the network of thread-like cells that produces mushrooms. Mentored by the greatest mycologists of our time, he integrates and expands upon the knowledge of our ancestors. 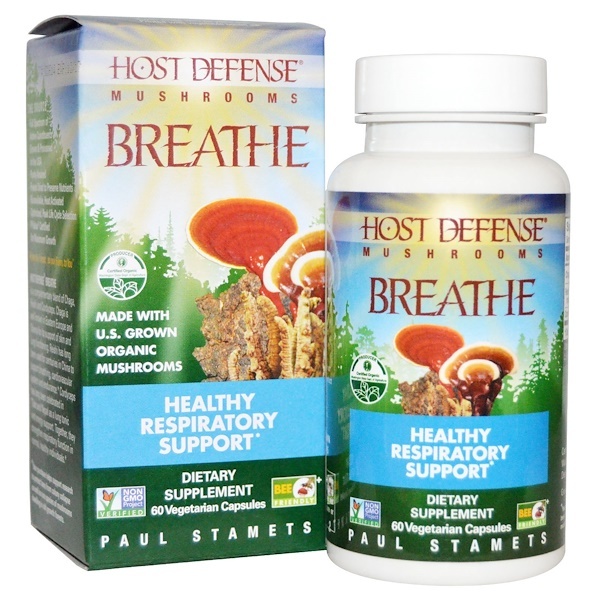 Host Defense Breathe uses activated, freeze-dried, Certified Organic mycelium, with a full spectrum of constituents: polysaccharides (beta glucans, arabinoxylane, glucose, xylose, galactose, cardycepic acid), cordycepin, glycoproteins, ergosterols, triterpenoids and other myco-nutrients, which are essential for Supporting Natural Immunity. Host Defense Breath is a complementary blend of Chaga, Reishi and Cordyceps. Chaga is well known in Eastern Europe and Siberia for its support of skin and lung functioning. 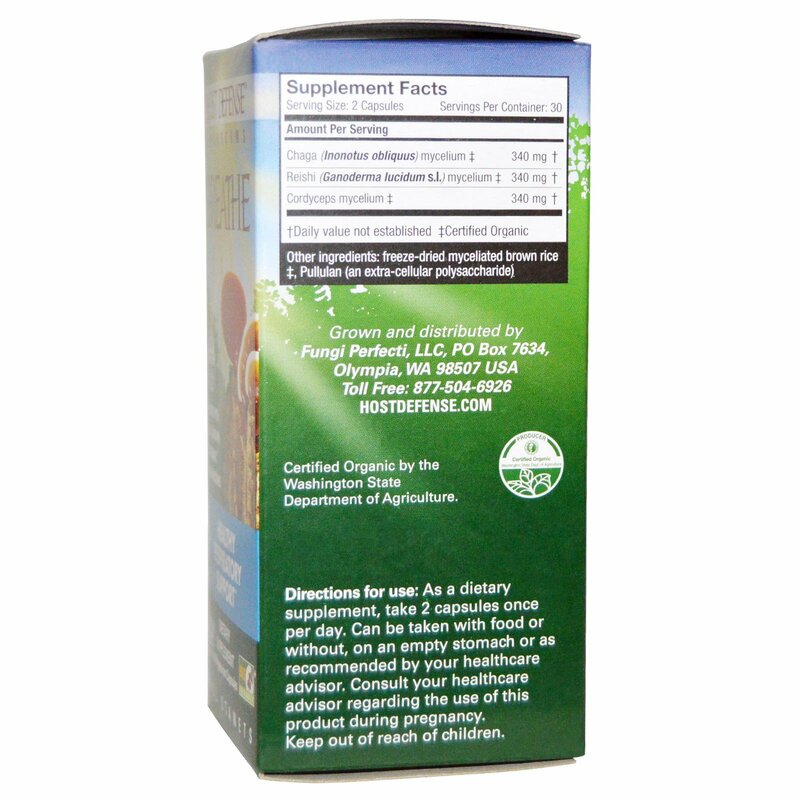 Reishi has long been used for centuries in China to support breathing, cardiovascular system and endurance. Cordyceps has long been celebrated in Tibet and Nepal as a lung tonic and energy support. Together, they strengthen respiratory function in normal, healthy individuals. Freeze-dried myceliated brown rice ‡, pullulan (an extra-cellular polysaccharide).